Ryan is originally from South Carolina where he grew up playing baseball from an early age. After high school, Ryan played baseball at Lafayette College in the Patriot League before moving closer to home to attend Clemson University. Once at Clemson, he joined the club team and played on the team as a 3-year starter and led the team all three years in RBI. He helped lead his team to a conference title in his senior season on a club that fell just short of the NCBA World Series in the final game of the Regional Finals. He was the first member of his club to ever participate in the NCBA's Long Ball Challenge at the World Series. 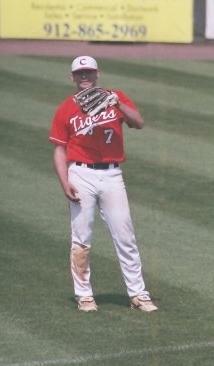 Ryan also earned All-Region honors during his senior season as an outfielder. After graduating in May 2008 from Clemson, Ryan was hired as the Regional Director for Club Baseball in the Gulf Coast. Since then, Ryan has expanded his influence in club sports and taken on the role of being the radio broadcast voice of the NCBA World Series each year as well as the NCFA National Championship football game. He lives and works in Lake Jackson, Texas as a chemical engineer.